New York Giants wide receiver Odell Beckham Jr. wants a new deal. He’s absence at Giants OTAs hints at that, but is Beckham going about this the right way? Even though OTAs (organized team activities) are not mandatory, it’s never a great sign to see a team’s best player skip out on these workouts with his team. That definitely seems to be the case with New York Giants superstar wide receiver Odell Beckham Jr. 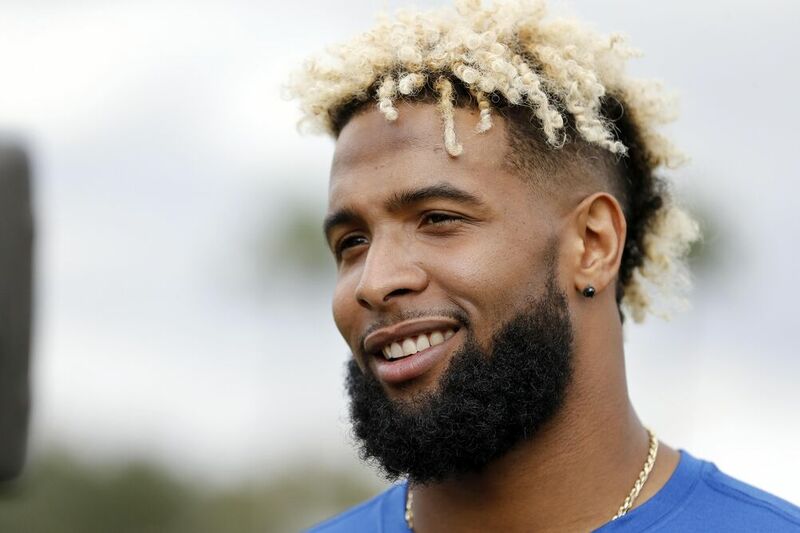 Though Beckham is working out with the likes of FOX Sports’ Cris Carter and former Heisman Trophy winner Johnny Manziel, the reason behind Beckham not showing up to the Giants facility this spring could indicate that he wants a new contract. No one in Odell Beckham Jr. camp has admitted it, but his absence from OTAs is directly related to his desire for a new deal, per sources. Beckham has already inked a big shoe deal with Nike this offseason, but covets the coin of a No. 1 wide receiver in the NFL. He was the Giants’ first-round pick of the 2014 NFL Draft. The Giants obviously exercised its fifth-year team option on Beckham for 2018. That’s probably not sitting well with the Giants’ franchise wideout. Being that he’s a full two years away from hitting unrestricted free agency, all this potential holdout talk is nothing more than a distraction. Hopefully Beckham doesn’t consider skipping training camp at any point this summer. Otherwise, it will just look worse. Beckham is an interesting person, as his eccentricity as a man is what helps him reach new heights on the football field. The problem is that it’s hard for a football team to win when the best player on a team isn’t exactly a team player. Add in the infamous Miami boating incident from last January and it’s easy to see why Beckham is taking a lot of heat for skipping Giants OTAs this June.